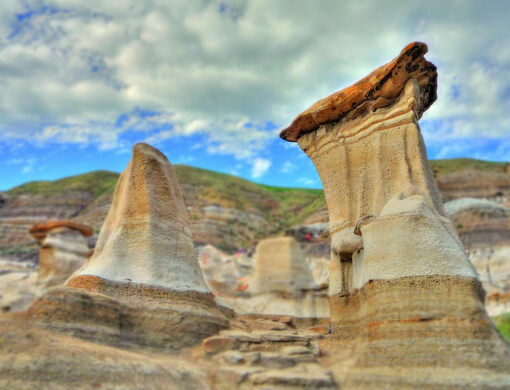 In the badlands of Alberta, Canada, one may come across oddly shaped rock-formations which stand up to 20 feet tall. Blackfoot and Cree traditions hold that these rocks are petrified giants who come alive at night to protect the land around them by hurling stones at intruders. Today we know the rocks were created by erosion - perhaps as amazing a force as giant-petrification. Naturally shaped by wind and water, these hoodoos (also known as fairy chimneys) have been carved over millions of years into pillar-like shapes. 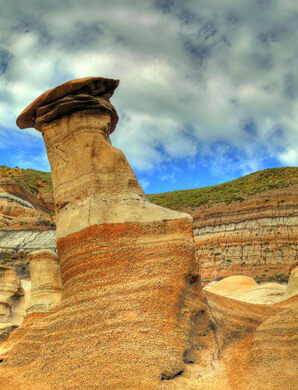 Made of soft sandstone, the hoodoos are generally topped with a harder rock “cap,” slowing the process of complete disintegration. 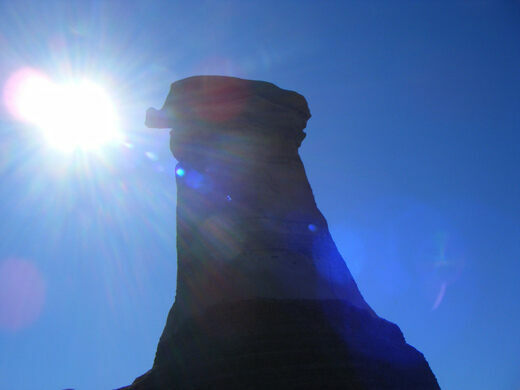 Climbing is not permitted, for the sandstone structures are quite fragile. 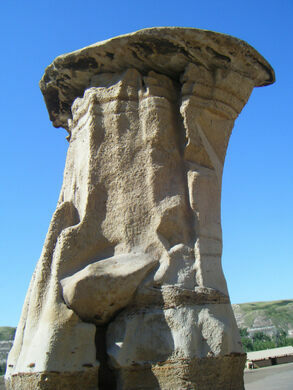 Eventually these hoodoos will be eroded so thin that they’ll break, and the harder top rock will come crashing down. Kitschy steak joint where customers can cook their own meat over an eternal flame.